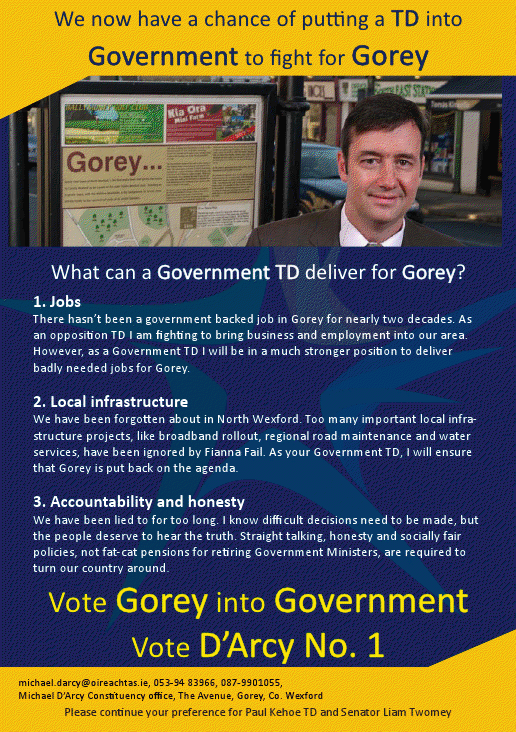 “Put Gorey in Government” a Leaflet from Fine Gael Wexford candidate Michael D’Arcy in the 2011 General Election. Gorey based D’Arcy polled well with 8,418 votes but narrowly missed out to party colleague Liam Twomey. D’Arcy was elected in the subsequent Seanad Elections on the Administrative Panel. 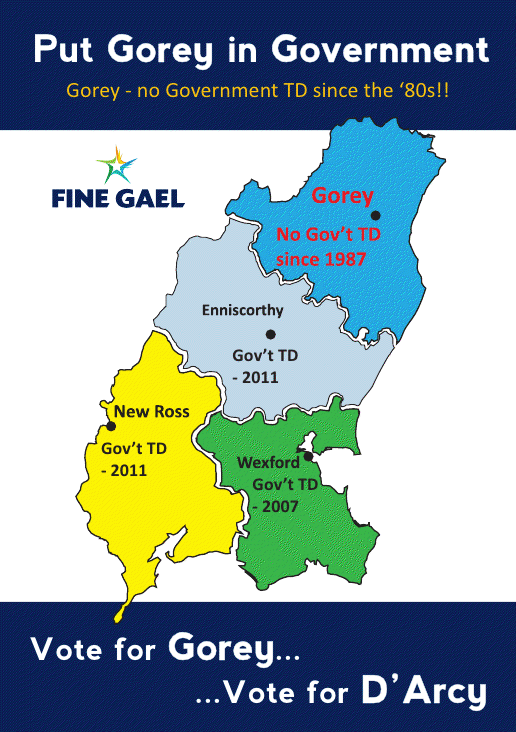 The Gorey area still has no TD.